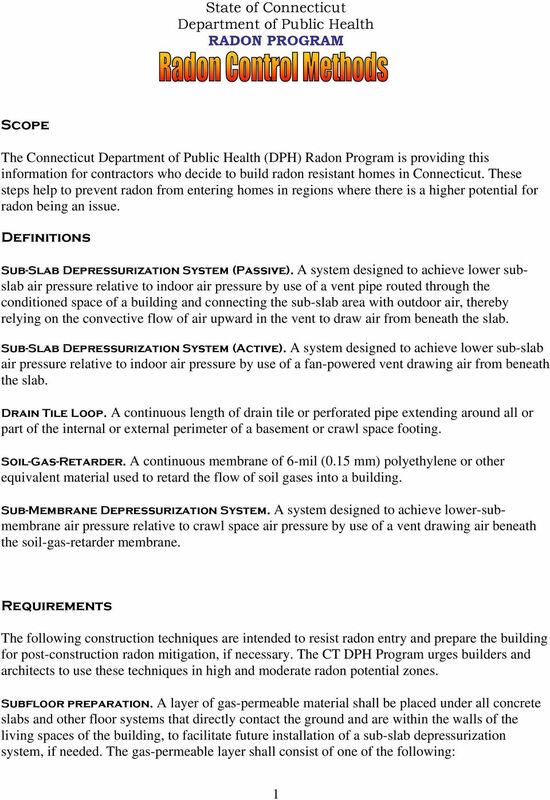 Download "State of Connecticut Department of Public Health RADON PROGRAM"
2014 Amendments to: 2012 British Columbia Building Code. 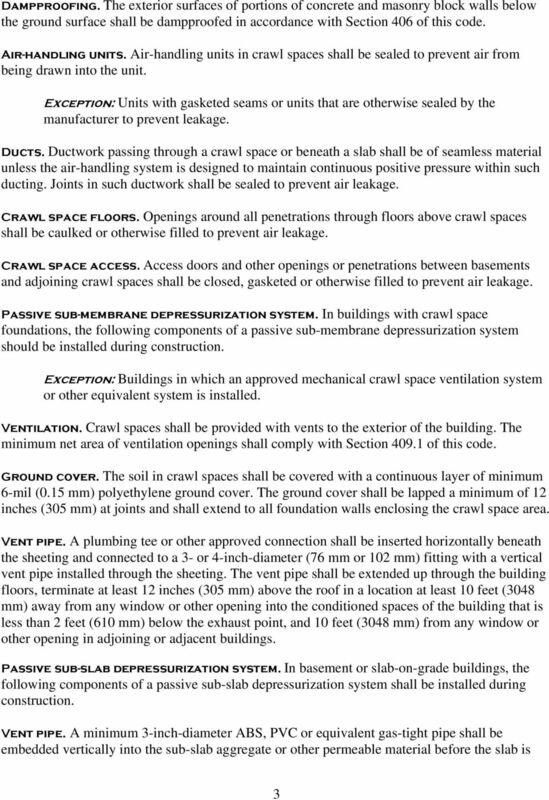 An interpretation of the 2014 Building Code Changes for 9.36 & 9.32. What is Radon? THE FOLLOWING INFORMATION IS PROVIDED BY THE COLORADO DEPARTMENT OF PUBLIC HEALTH AND ENVIRONMENT Radon is a gas created in the soil from trace amounts of uranium and radium in the soil. 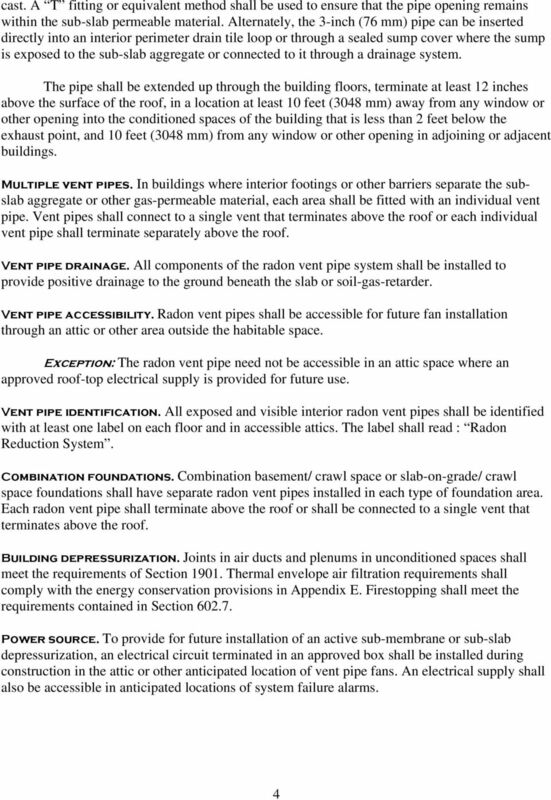 Minnesota State Residential Energy Code Requirements The Energy Code provides minimum standards for permitting energy efficient operation, assuring building durability and furnishing quality indoor air. 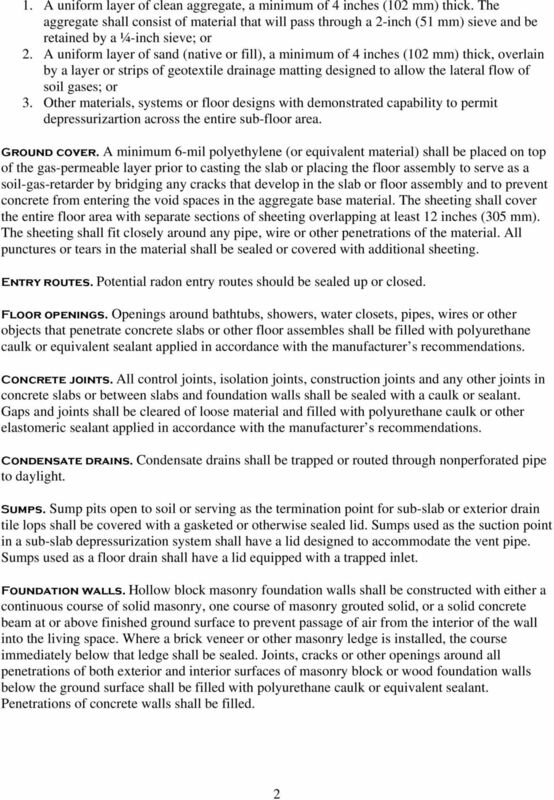 5:23-10.1 Title, scope; intent (a) This part of the regulations, adopted pursuant to the State Uniform Construction Code Act, P.L. 1975, c. 217, as amended and as supplemented by P.L. 1989, c.186 (N.J.S.A. RADON SOLUTION IN ONE APPLICATION! The solution for a dry, comfortable and durable basement!